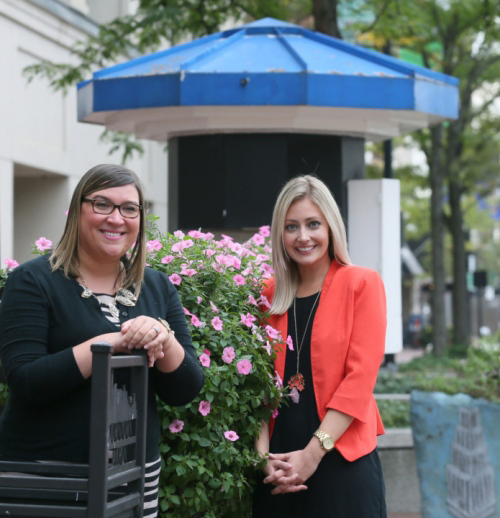 New visual and audio features have been installed in seven unused phone booths with the purpose of bringing art and streamed music to the sidewalks of Downtown Akron. Close community ties have helped the young professionals connect with other local agencies to achieve the musical and visual endeavor. The Sidewalk with Soul committee included: Chris Ludle The City of Akron, Christopher Pepe from Clear Gold Audio, Kimberly Beckett and Kelli Fetter from Downtown Akron Partnership, Knight Foundation, Power Media, Ryan Pritt, and Sarah D’Alessandro from Pritt Entertainment Group, Torchbearers, and Tommy Bruno and Andrew James from 91.3 The Summit. In partnership with 91.3 The Summit, the booths are on timers and have begun streaming an array of music from 7 a.m. to 9 p.m. The seven phone booths are all located at various locations along Main St. in Downtown Akron. “This project confirmed what we all already knew—Akron. Is. Special.,” Boyd said. 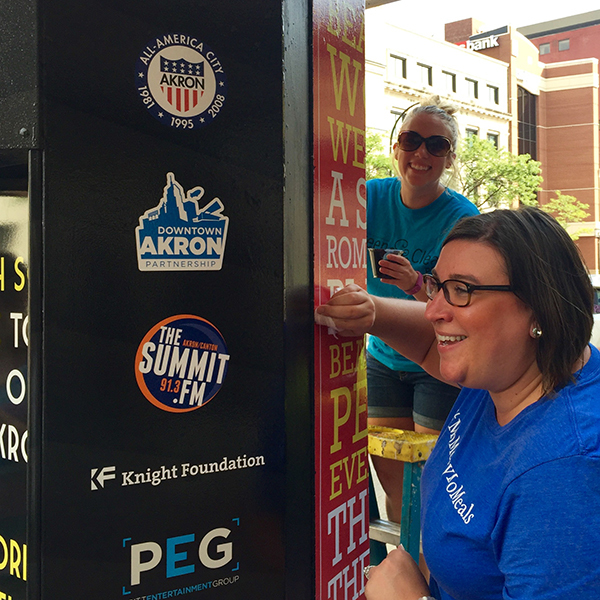 “Coming together with an idea and working to create vibrancy in a city we adore is magic.” Boyd shares her thanks, too, to the city of Akron, Pritt Entertainment Group for its design and implementation of the phone booth wraps and Clear Gold Audio for its assistance in the purchase of speakers. An inside source reports that we can expect a flash mob sometime in the spring to celebrate “Sidewalks with Soul” songs. Stay tuned, music lovers.